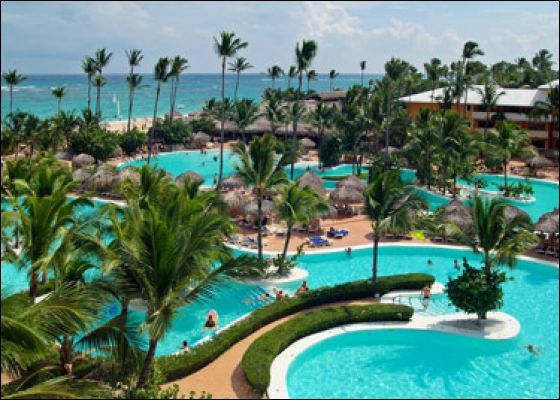 Iberostar Dominicana and Iberostar Punta Cana are truly the best value for your Caribbean vacation. With the all-inclusive model, both give you more for your money. 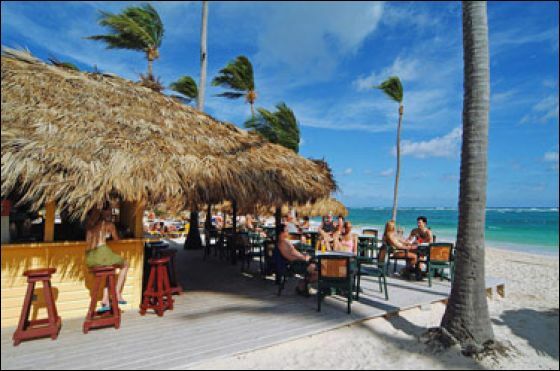 Beautifully situated on the famed Bavaro Beach, the Resorts have a great selection of bars and restaurants. Almost mirror reflections of each other, Iberostar Punta Cana and Iberostar Dominicana join hands to create one astounding Resort. Therefore, when you review the description of one hotel, combine that with the other. As you do indeed, have two hotels in one package that offers the facilities of the Iberostar Dominicana and Iberostar Punta Cana to all guests - stay at one, play at both! They include your comfortable room, delicious food at a la carte restaurants and buffets, plus drinks, including premium liquors and soft drinks. Not to mention, activities galore and nightly entertainment. Plus, some of the Iberostar resorts also have 24 hour room service with foods like wraps, salads and desserts on the menu. Just put on your bracelet for access to everything, including exchange privileges between both Iberostar Punta Cana & Iberostar Dominicana. A great choice for families, active travelers and spa and dive-enthusiasts, this distinguished Spanish-style resort offers warm hospitality and a welcoming atmosphere. Spend fun-filled days enjoying the all-inclusive land and water sports; relax on swinging hammocks; dine at one of the many restaurants serving international cuisine; take advantage of the PADI dive center; dance the night away in the disco and retreat to the spa for a pampering afternoon of relaxing treatments. Fronting a five-mile stretch of Playa Bavaro, this upscale resort has something for every member of the family. 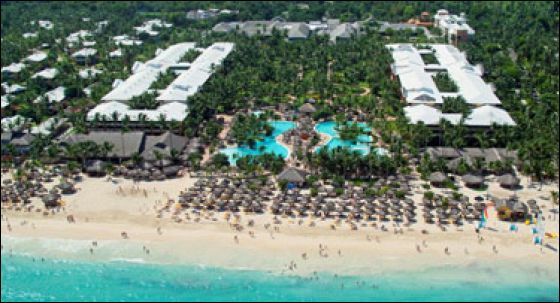 Iberostar Dominicana sits directly on Playa Bavaro in Punta Cana, Dominican Republic, the land of Spanish, French, and Haitian influences. This five-star resort is surrounded by everything you'd expect from an all-inclusive vacation: Fabulous gift shopping, nightclubs, bars, restaurants and cafeterias, golf, and last but not least, white sandy beaches and glowing sunsets. More than two million tourists flock to Punta Cana every year, taking advantage of the water sports, exotic cuisine and those famous Dominican rum cigars. Playa Bavaro is truly the perfect setting for the perfect vacation. Like the names say it, Iberostar Dominicana & Iberostar Punta Cana is fun, vibrant and full of life, just like the people of Dominican Republic. As soon as you walk through this five-star all-inclusive resort your hips will sway to the music and suddenly you'll dance like never before. That's the magic of this jewel in the Caribbean, it's captivating and intoxicating. And it'll get even better, especially on Noche Dominicana, a night dedicated to everything Dominican. From the delights at the buffet like yucca and platano to Perico Ripiao music boasting merengue, bachata and salsa sounds to Rythmo Dominicano, a show that tells the story of the Dominican people through music, dance, even a little acting. When you’re on vacation, your hotel room becomes your home away from home. That’s why Iberostar Dominicana & Iberostar Punta Cana takes care of having everything you’re used to like plush pillows, comfortable sheets, a cozy atmosphere, even a balcony or a terrace. From standard rooms to junior suites you surely won’t be homesick. Amenities range from a dining and an outside sitting area complete with comfortable couch. Plus, of course, the comforts of home like an iron board, a safe deposit box, a mini-bar, a hair dryer and satellite television. When it comes to food, there's so much variety at Iberostar Punta Cana and Iberostar Dominicana it's hard to settle on where to eat. Whatever your palate prefers, you're truly in for a treat. With five a la carte restaurants plus one international buffet and one grill snack bar, you'll always leave the dining table satisfied. Sample from Italian favorites like pizza and pasta to oriental like crowd-pleaser veal chop suey and sushi. Or just hang out at the snack bar by the beach and pick your favorites from the buffet. Bon appétit. Stays of 3 or 4 nights are guaranteed one reservation for a specialty restaurant. Stays of 4-6 nights are guaranteed two reservations for a specialty restaurant. Stays of 7-13 nights are guaranteed three reservations for a specialty restaurant. Stays of 14 or more nights are guaranteed four reservations for a specialty restaurant. Additional reservations are based upon availability. All other dining will be at one of the hotel's buffet restaurants. 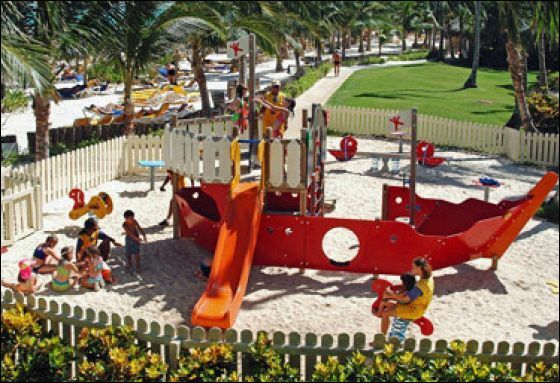 Iberostar Dominicana & Iberostar Punta Cana has lots of ways to keep your entire family entertained, you’re all on vacation after all. From parents who want to reconnect in bars and nightclubs. To a number of pools and live nightly shows for teens. And to Lucy’s Club, a friendly atmosphere for kids where they can read, color and watch movies. Plus, let’s not forget the crystal-clear beach where everyone can have fun. At Iberostar Dominacana & Punta Cana, there’s lots of ways to stay active and more importantly, to have fun. From scuba diving and kayaking, to tennis and yoga , and even archery and air gun tournaments, this resort has it all. Plus, a full gym so you can sweat to your favorite music. And to reward yourself, try a full body massage at the spa. On the premises of your Iberostar hotel there is a CDC PADI GOLD PALM RESORT DIVE CENTER, operated by DRESSEL DIVERS INTERNATIONAL. They will offer you a wide range of local boat diving/snorkelling excursions, dive courses and several other water sports activities. I have entered comments below and feel free to share them. The flights: Frontier Airlines plane was comfortable, On time, hassle free, & friendly service. Transfers: Air-conditioned and comfortable ride to hotel. Beach: Beautiful. One of the nicer sections of beach. It is wider and not as narrow as other resorts nearby. Clean and plenty of shade. Pool: Was just OK. Not as nice as other resorts nearby. Though you really come to Punta Cana for the beaches, a nicer/cleaner pool would of been nice. Service: Mixed. Front desk check in was easy/quick and room was ready at posted check in time. Room requests were honored, which was VERY much appreciated! Maid service was good. Buffet service wasn't bad, but not as good/friendly as we've found in other resorts. This surprised me a bit as I thought Iberostar resorts pride themselves on friendly customer service (on a side note - the service at the Iberostar in Jamaica was far better). Buffet service on the Dominicana side was also better than on the Punta Cana Side. Food: Breakfast was good, lots of fresh fruit and juices. Lunch at beach buffet decent. Disappointed with dinner buffet. Food was just OK and although they tried to mix it up a little, it was pretty much the same ol' stuff every night. Didn't try any of the restaurants, but maybe should have since the buffet wasn't so great. Rooms: Good size and in fairly good condition. Furnishings could use some updating, but were still OK. Bathrooms were in good working order (no problems with toilets, water pressure in shower, or having to take cold showers is always appreciated). Beds were a bit soft but not a big deal. Entertainment: Nightly shows aren't too great. Better shows would be nice. Definitely not as good as the shows at the Gran Bahia - the Circus and Michael Jackson show there were good . Stage was a bit small for size of resort/audience. Would you return: Possibly, but would probably want to check out other resorts in the area as there are so many options. Would you recommend this resort? Most likely, but again, there are so comparable resorts to choose from. How did you find our service? Marcy, Frank, and Karin are great. Always prompt & responsive. Much appreciated! Are you satisfied with the service provided and received? Yes! Would you recommend our service to your family or friends? Yes! Any additional comments: Dominicana side seems more updated/newer than Punta Cana. Liked size of resort - everything was in close walking distance. Food easily accessible from the beach. Didn't get chance to see inside rooms on Dominicana side, but have read in reviews that they have been recently updated. Public restrooms were clean - even the ones by the beach and pool (where you'd expect yucky/wet floors and what not). The flights: Flight down was fine. First Class is great for the 3.5 hr flight. On the way home the stupid girl at the ticket counter in Punta Cana put us in row 14. I did not notice it till we were at the gate. Too late to go back and fix it. Found an Airtran Rep at the gate that was able to fix it. The flight back was 4 hours. Also, they never announced our flight at Punta Cana airport. We just saw people gathering at gate 4 and realized it was our flight. The boarding was not organized but they opened front and aft doors and boarded both ends which went quick. Transfers: Transfers were great as always. Beach: Beautiful as always. Ocean water was cold. Pool: Beautiful and clean. Water was cool but refreshing after laying in the hot sun. Food: I always enjoy the food and the efforts of the chefs. I especially enjoy all the fresh fruits. Rooms: Room was clean and looked recently refurbished. Our first time on a ground floor, took some getting used to. Entertainment: I always enjoy the entertainment. There was a piano player in the lobby for a half hour every evening before the Star Friends band played in the outdoor gazebo. Would you return: This is my 6th time to Punta Cana, 5th time at Iberostar. Like it much better than Riu Palace Macao. Jan would like to stay for maybe 10 days next year and we would choose Iberostar Punta Cana again. We notice that the Dominicana side is much noisier. The younger crowd can have that side. Would you recommend this resort? Absolutely. Clean, friendly and fun. No long pants needed for men in the buffet and no locked in seating times in the buffet. I prefer the buffet to the fancy restaurants. We have previously eaten at them and was not impressed. How did you find our service? Great as always. Are you satisfied with the service provided and received? Absolutely. Would you recommend our service to your family or friends? Absolutely! BEACH: We spent all of our time on the beach. It was awesome.There are tons of chairs and little tiki umbrellas for shade, but it's very hard to get a chair and especially hard to get an umbrella past 9:00. They have signs on them that say not to reserve them, but everyone did anyway. You have to get to the beach before 8 if you want to reserve a chair. We just stopped by the beach on our way to breakfast to drop off our beach stuff. It was no problem. One day we just put our towels in the sand when we couldn't find a chair. The sand is super fine and clean so we didn't mind. The water was crystal clear and had only mild waves. We loved it. POOL: We didn't use the pool once! The beach was too great to pass up. SERVICE: We only had issues with the wireless internet. It seemed to only work 60% of the time. Internet access is $13.00/day; Kind of expensive for hit and miss internet. Other than that, the service was great and the people were extremely friendly. FOOD: The food was good. Typical all inclusive buffet. They restrict you to only 3 reservations at the restaurants. We weren't too happy about that. The steak restaurant was awesome though. ROOMS: They don't have many rooms w/ an ocean view. Our original room overlooked a nice garden but we requested a poolside room so we didn't feel disconnected from the action when we were spending time in our room. ENTERTAINMENT: It seemed like they had a lot going on but we didn't participate in any of the entertainment. We, of course, would definitely return and highly recommend this resort. Your service was Excellent, as usual. Always happy to refer you to our friends and family. I just wanted to tell you that we had a FANTASTIC, FABULOUS, amazing time at Iberostar Punta Cana! We simply loved it. We only wish we could have stayed longer! The food was fantastic, the service was incredible, and the weather was excellent. The room accomodations were excellent - everything was VERY CLEAN. The beach was a little busy, but it didn't bother us at all - it may bother some people a little bit, but we were certainly okay with it. The trip from the airport to our hotel was only 25 minutes and the everything went smoothly- not one single delay. I wouldn't have changed a THING and we plan on going there again as well as using you all. What a time!! 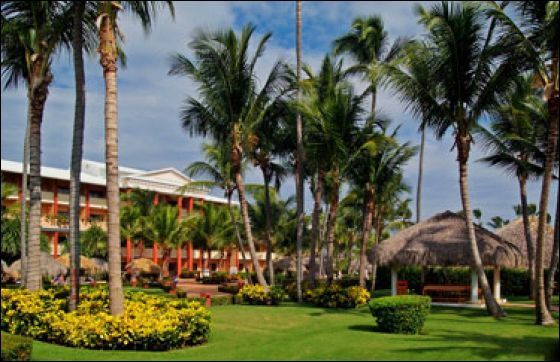 Here is my review on our stay at Iberostar Punta Cana (4/12/09 returned 4/19/09). Transportation to hotel from airport and return were flawless. Grounds were clean and well maintained. Rooms were nice and very clean. Service all over was exceptional. Food, bars, housekeeping etc. Buffet restaurant and beach restaurant were very good, enough choices and good quality. We went to 3 restaurants that we made reservations to. All were very good. The gourmet restaurant had best food and service I had ever experienced. Shows were ok. If you had children the nightly kids participation show was super. I would not hesitate to return to this property and definitely will be recommending you to all my friends too! Thank you Karin for making this happen! We loved the Iberostar Dominicana! The beach, food, service, everything was perfect - just as you described! You guys really know Punta Cana! Needless to say, our vacation was wonderful, but too short. Next time we book--SOMEONE REMIND ME THAT 7 DAYS IS NOT ENOUGH!!! The vacation was FANTASTIC and we all had a blast - thanks again for all your help and patience. It was a great trip and we hope to go back! Thanks much! I am so happy that my brother found you and referred us your way! You really went above and beyond for us! We asked so many questions as this is the first time we have travelled to Punta Cana and when travelling with children, there always seems to be so many questions! But no matter how minor the question, you all were speedy with your responses! And wonderful to work with! The resort was very nice, the grounds were beautiful! It was a little crowded for our taste as we were used to the smaller resorts but we knew this going in high season. The food was good, a pretty good selection. The only thing I didn’t really like was the fact that you only got 3 a la carte restaurants for the week and it was tough getting the reservations. Again, this is high season and expected. The rooms were beautiful and really clean. The pool area and beach area were also very nice. Another sore point was the fact that so many people would go out and put towels on the beds to reserve them and then wouldn’t use them for most of the day. You weren’t supposed to do that but it didn’t stop most people from reserving all of the beds….. The service was pretty good…..we found that they would bend over backwards for you, at least at the Iberostar, everything was by the book, no exceptions. All and all a great trip for the value….you cannot beat the beach and the ocean…it was absolutely beautiful! The only other thing was that there wasn’t as much to to do in Dominican like there was in Mexico…..I would recommend it to anyone who is looking for a relaxing vacation, with beautiful beaches and wonderful people!….Thanks for putting a wonderful trip together for us! I’ll try to send you some pics as soon as I get them downloaded…..I will definitely be in touch with you next year to book another trip…. You made the process very easy and assuring for us…..it is nice to have your input on everything - you guys are super to deal with - always honest and full of information!